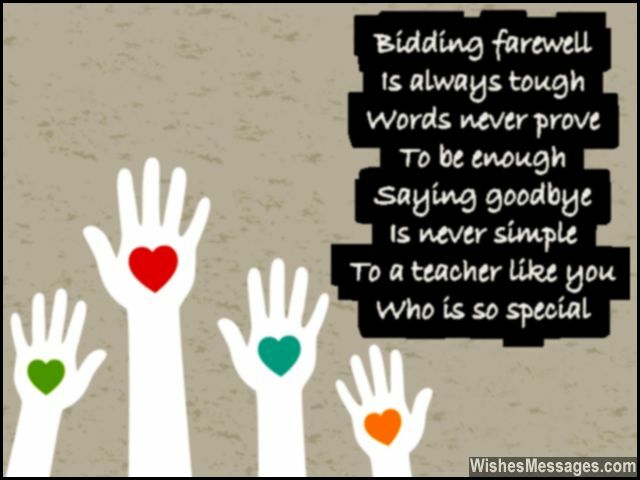 Farewell Poems for Teacher: A teacher’s contribution makes for the most priceless of memories in a student’s life. 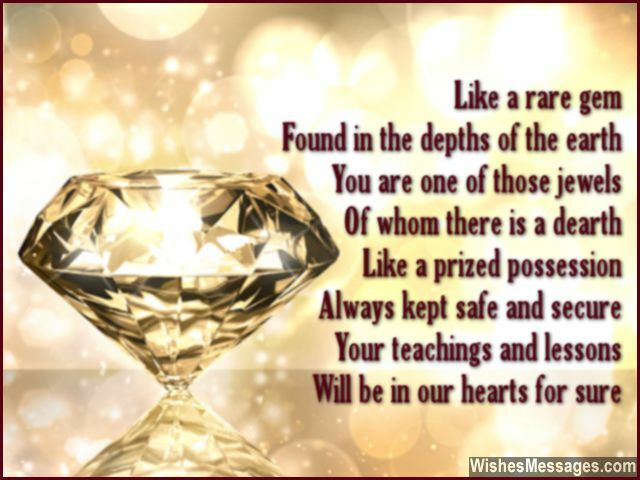 No matter how much students grow up, they can never forget the sweet compliments, harsh remarks, generous encouragement and unflinching support given to them by their teachers. If your favorite teacher is resigning to take up a new job, retire or go on a sabbatical, this is the time to express your gratefulness and love for them. Describe the feelings of respect you have for your teacher with a heartwarming goodbye message written in a greeting card. If you are friends with your teacher on Facebook or Twitter, share a cute farewell quote. You can include a beautiful poem or a funny anecdote if you are going to give a speech during the farewell party. Teachers deserve to know how much you will miss them when they are gone.